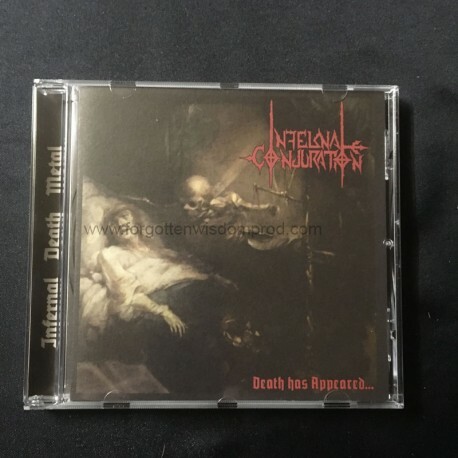 Infernal Death Metal from Mexico! Dark, raw, straight & obscure. 4 own new hellish hymns + cover of mighty MORTUARY /Mexico/ "Abyss Angel" from their cult demo tape "Blackend Images"! The armies of Hell rejoice in Blasphemy again!